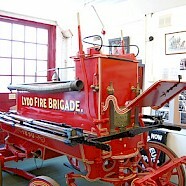 A unique collection of wartime equipment. 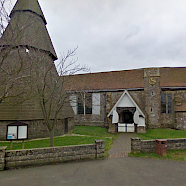 The sole survivor of four medieval churches in New Romney. 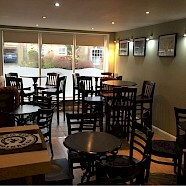 A new micropub, the emphasis is firmly on good beer from microbreweries, great cider and carefully selected wines. 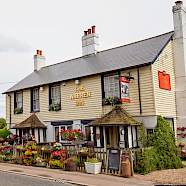 The Warren Inn is a friendly and cosy Victorian pub located on the main coast road outside New Romney. 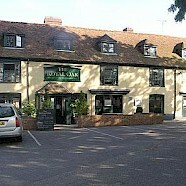 A recently refurbished well reviewed small local hotel with a public bar. 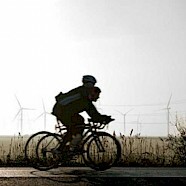 The National Cycling Route 2 runs right through Romney Marsh. 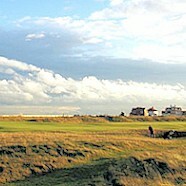 Not one, but two special links courses. 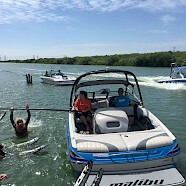 A family-run watersports centre based on a private 22 acre, purpose built lake. 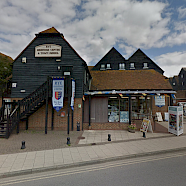 The Heritage Centre and Information Centre gives visitors an ideal introduction to the town. 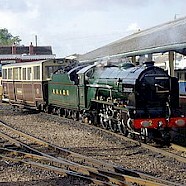 Just outside New Romney on the A259 on the way to Dymchurch. 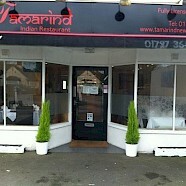 Serves food all week including Sunday lunches and specialising in Goan curries. 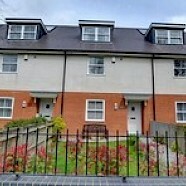 Recently refurbished and located in the heart of the town. 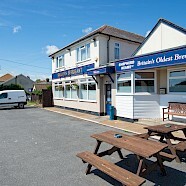 Overlooking the sea, open early for breakfast and catering for tourists this is a busy popular pub. 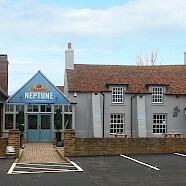 The Neptune is a large family friendly pub beside Newbeach holiday park on the main coast road opposite the sandy Dymchurch beach. 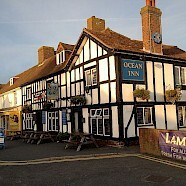 The Ocean Inn is a traditional pub in the village of Dymchurch, near the beach and amusements. 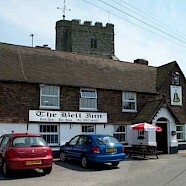 The Bell Inn (est 1546) used to house smugglers, nowadays it is a multi-award winning CAMRA pub. This remote inn takes its name from a 7th-century saint who lived and died in the area. 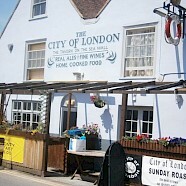 Large restaurant area, lovely beer garden and takeaway food service. 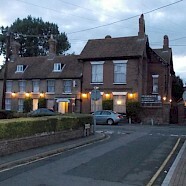 A lovely little pub. 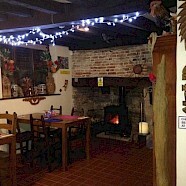 A 15th century Grade II listed building with a log fire and a garden. Separate dining room and good home-made food. 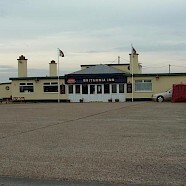 Set in the heart of the Dungeness Site of Special Scientific Interest (SSSI) the Britannia Inn is a pub and restaurant, two minutes walk from the beach. 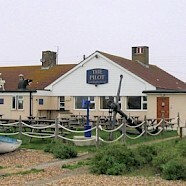 A pub with a smuggling and looting history, the Pilot Inn is a family run and operates a popular restaurant. 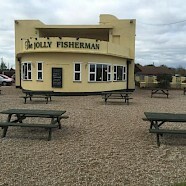 The Jolly Fisherman is family friendly, serves food and was newly refurbished in 2016. 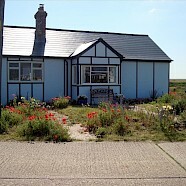 It is directly opposite the sandy beach at Greatstone. 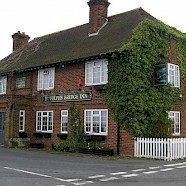 A Country Inn with rooms, great views good food and a large garden. Serving the local community The Bailiffs Sergeant provides not only hospitality but a post office and cashpoint services. 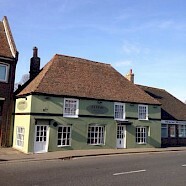 The Star Inn (1476) offers excellent food and accommodation in a quiet village location overlooking a historic church graveyard. 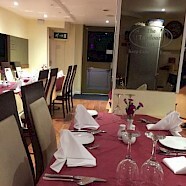 Serving locally sourced fish and lamb and top quality meats this town centre restaurant offers a changing menu, and an attractive ambience. 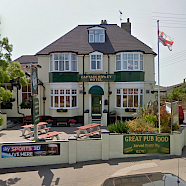 Offering both a sit-down and takeaway option this family restaurant specialises in fish and chips, pie and mash and tasty peri-peri chicken. 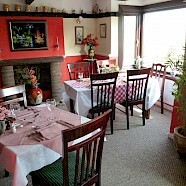 Independently run authentic Italian food and pizzas. 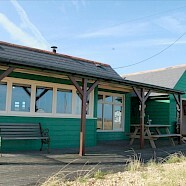 A sit-down and takeaway family focused fish and chip restaurant located right beside the sea-wall. 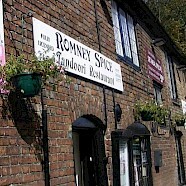 An award winning Indian restaurant that offers Sunday buffets, takeaway and a delivery service. A favourite Ecuadorian restaurant that has a bring your own drink policy. 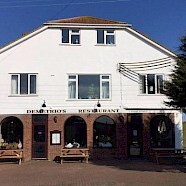 The authentic family runs Greek restaurant backing onto the beach. 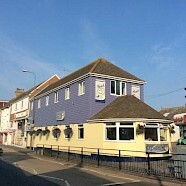 A long established restaurant, located on the beach with regular entertainment and themed cabaret nights. 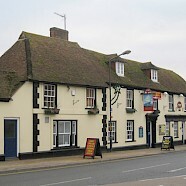 Evening meals are served in this B & B by arrangement. 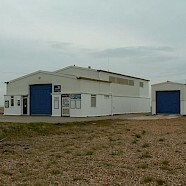 Located in one of the oldest buildings in Dymchurch. 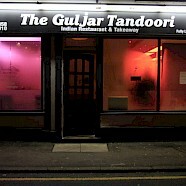 A highly rated Indian restaurant that does both dine-in and takeaway options. 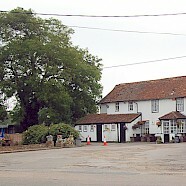 A friendly village restaurant located in the heart of the countryside. 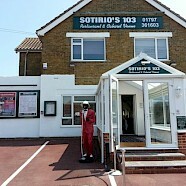 A favourite restaurant and takeaway. 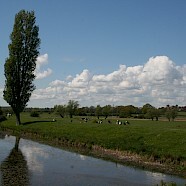 The Royal Military Canal is the 3rd longest defensive structure in the UK. Open to the public, why not climb to the top? 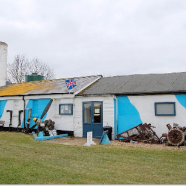 An excellent collection of artefacts and a rotating collection make this little museum worth a visit. 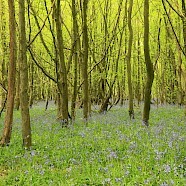 Located in Romney Warren Country Park. Lots to do outdoors and indoors. 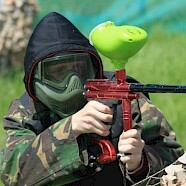 A paintball site catering for small and medium groups of people. Call in advance to book. 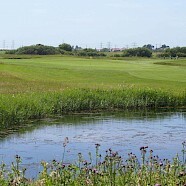 An 18-hole championship-standard risk and reward course. 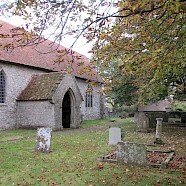 Medieval church, on site of an earlier Saxon building. 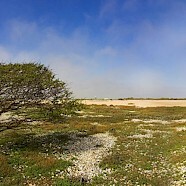 The RSPB's oldest bird reserve. 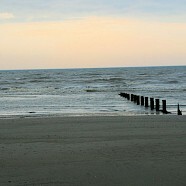 Miles and miles of shingle, a great place for a walk. 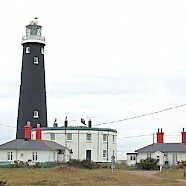 Dungeness is unique – the UK's only desert. This special cottage is in a spectacular position and has amazing views. 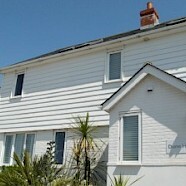 This 1930's house has direct access to the sea along with a large pretty garden. 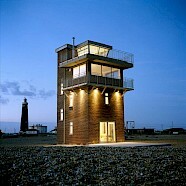 Located on the beach at Dungeness with uninterrupted views of the sea. 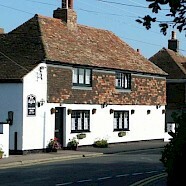 Located in an unspoilt village in a great location for walking, cycling and exploring Romney Marsh. Wake to the sound of the sea and sleep in an unique building. 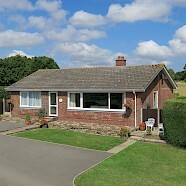 A luxury property enjoying uninterrupted panoramic views across two golf courses and the distant countryside. 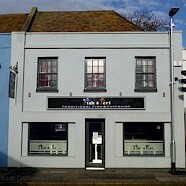 A family-run B&B in a quiet location in the historic Cinque Port town of New Romney. 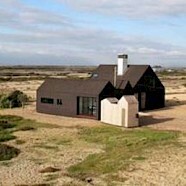 A detached luxury, weather-boarded beach holiday cottage. 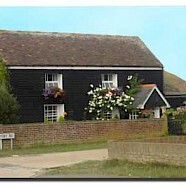 A Georgian farmhouse in the peaceful countryside offering B&B. 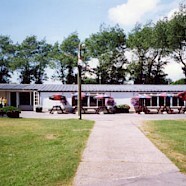 A gold Bellamy award-winning, family-owned caravan and camping park. 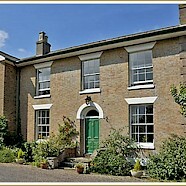 A 200 yr old Grade II guesthouse, specialising in birdwatching breaks. 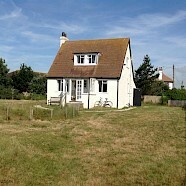 Lovely cosy pine lodges with outstanding country views in a pretty corner of Romney Marsh. 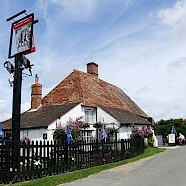 A 16th century pub with rooms set in the idyllic village of Brookland. A unique contemporary house located on the beach. 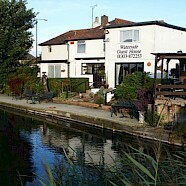 Waterside Guest House offers family accommodation with cots and highchairs. 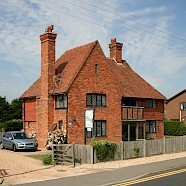 Located by the sea, featuring oak beams and leaded light windows. 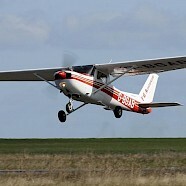 Experience life in the sky with a trial flight experience or perhaps actually learn to fly. 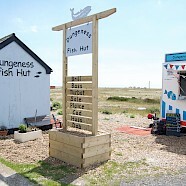 Wonderful beach food to take-away. Fresh fish treats caught that day. 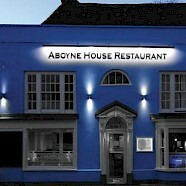 A chic 'New England' style restaurant with rooms. 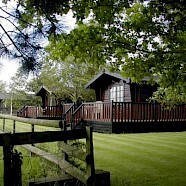 In a perfect getaway location. A luxury shepherd's hut, in a field, for 2. 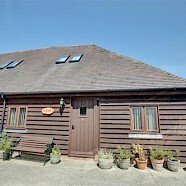 Peaceful character cottage, 10 minutes from Rye and Tenterden, in the heart of the Kent countryside overlooking the Marsh. 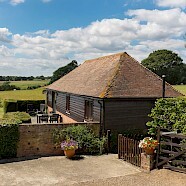 Fabulous views over peaceful sheep farm with wildlife walks to enjoy. Dog by arrangement. 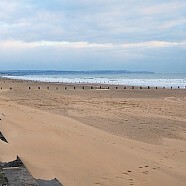 The sandy beach at Greatstone is quite flat and stretches from north to south for over two miles, and is frequently 'washed' by the tide of the English Channel. 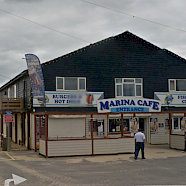 Situated beside the beach at Camber Sands, the Marina Cafe offers local Fish & Chips, freshly made sandwiches and baguettes and a selection of alcoholic and non-alcoholic drinks. 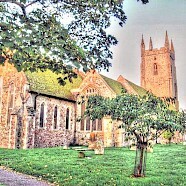 Part of the church dates back to the 5th century, making it Romano-British. 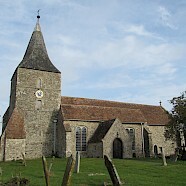 It is the longest parish church in Kent at 199 feet (61 m), and also has one of the tallest towers in the county at 132 feet (40 m) and is a Grade I listed building. 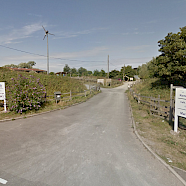 Dymchurch Amusement Park offers you a fun day out for the children. 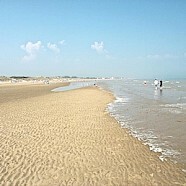 It is located in the centre of Dymchurch, right next to the beach. 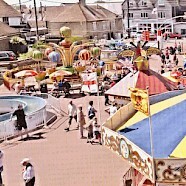 The Park has a great choice of rides and large amusements. 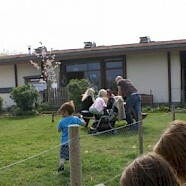 Open 7 days a week, the visitor centre was built with straw bale walls and a green roof. 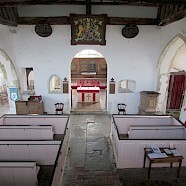 Inside it has fascinating displays that depict the Marsh's natural and social history . 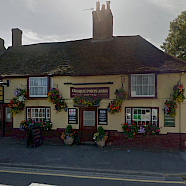 Located next door to a mediaeval church in a quiet village is this Grade II listed inn that offers excellent home -cooked food a lovely garden and a warm welcome. 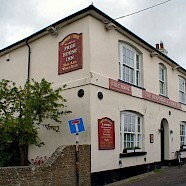 In the quiet village of Brookland you will find the Woolpack Inn. 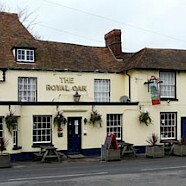 A well established ancient and hospitable pub offering great food and drink to all who pass by.